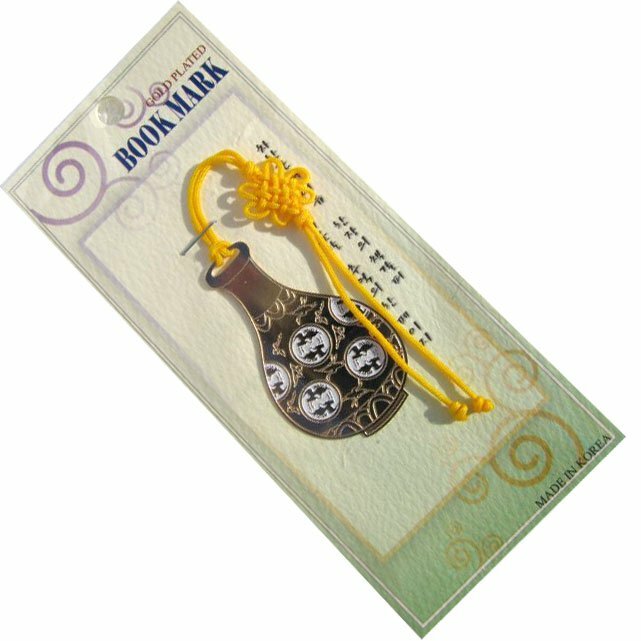 Korean Folk Art 24K Gold Plated Bookmarks Vase 24K Gold plated Bookmark featuring intricate designs reflecting items of Korean cultural importance. They will give you good luck! Size: 1.18 by .57 inch, 24K Gold Plated with Korean decorative knot (매듭) at the top $5.00 $4.00. 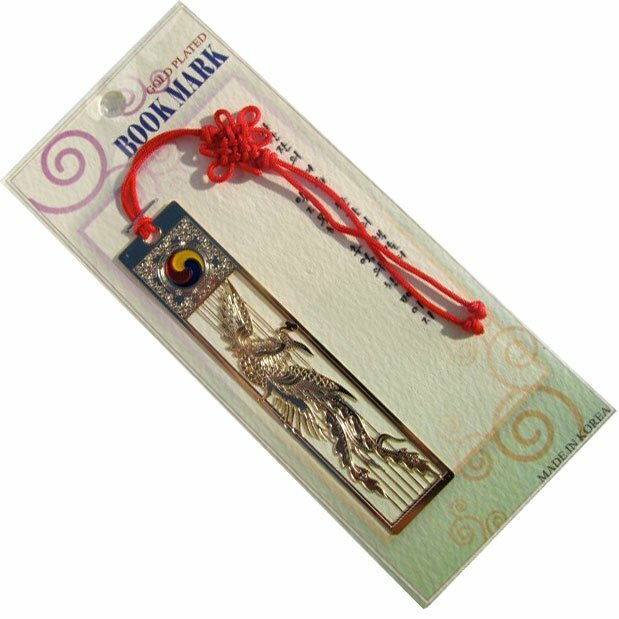 Korean Folk Art 24K Gold Plated Bookmarks Bird 24K Gold plated Bookmark featuring intricate designs reflecting items of Korean cultural importance. They will give you good luck! Size: 1.18 by .57 inch, 24K Gold Plated with Korean decorative knot (매듭) at the top $5.00 $4.00. 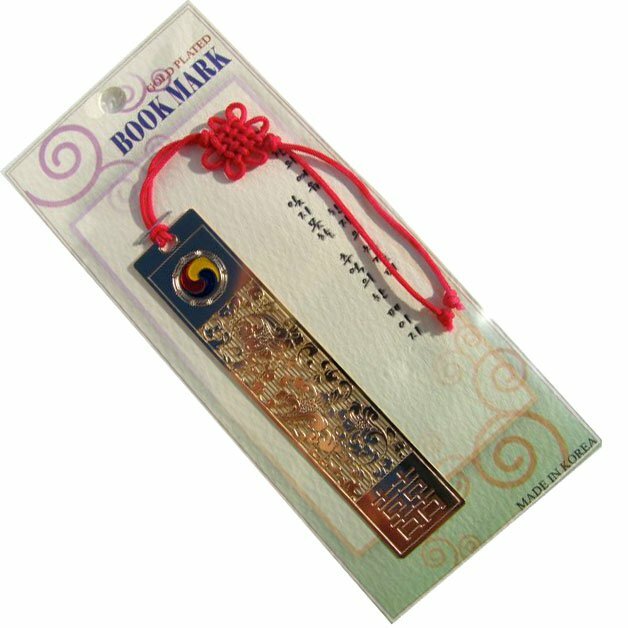 Korean Folk Art 24K Gold Plated Bookmarks Flowers 24K Gold plated Bookmark featuring intricate designs reflecting items of Korean cultural importance. They will give you good luck! Size: 1.18 by .57 inch, 24K Gold Plated with Korean decorative knot (매듭) at the top $5.00 $4.00. 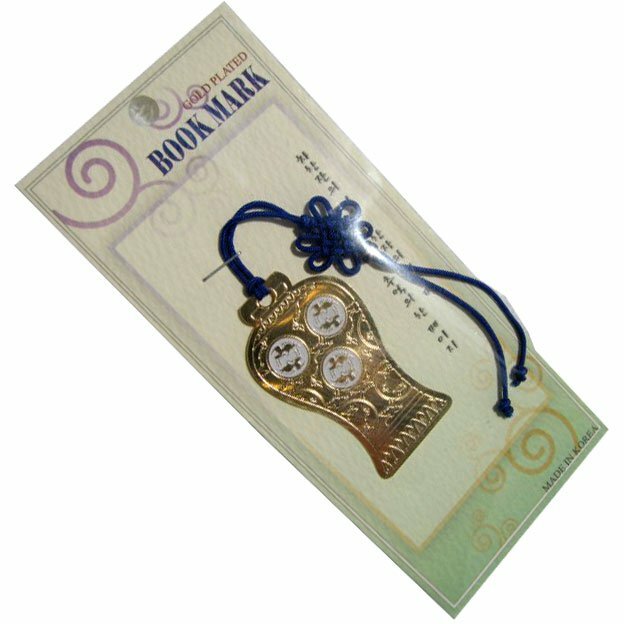 Korean Folk Art 24K Gold Plated Bookmarks Pottery 24K Gold plated Bookmark featuring intricate designs reflecting items of Korean cultural importance. They will give you good luck! Size: 1.18 by .57 inch, 24K Gold Plated with Korean decorative knot (매듭) at the top $5.00 $4.00.